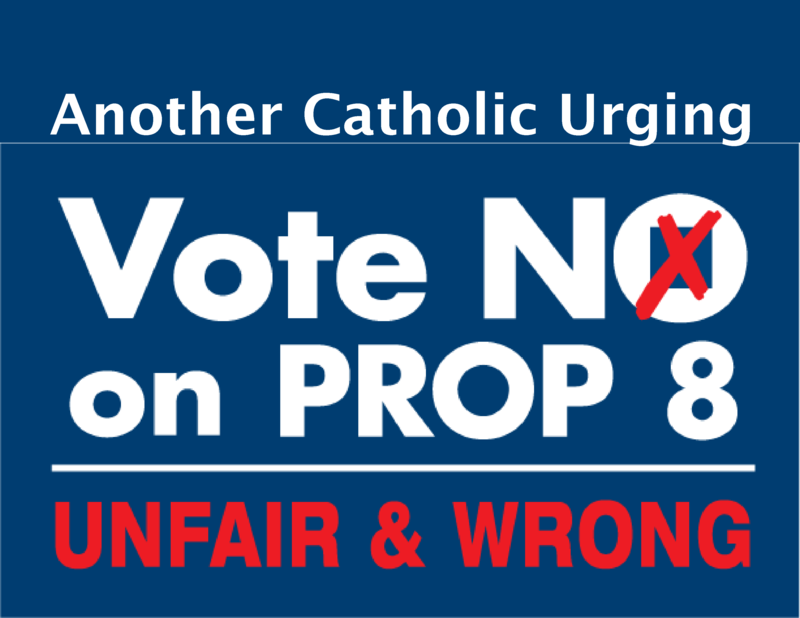 Wednesday I voted no on Proposition 8, and this evening I made my own "No on 8" sign to put in my window (and tomorrow on my mail box), after searching fruitlessly online for a decent self-printable sign (finding a proper official yard sign is difficult). 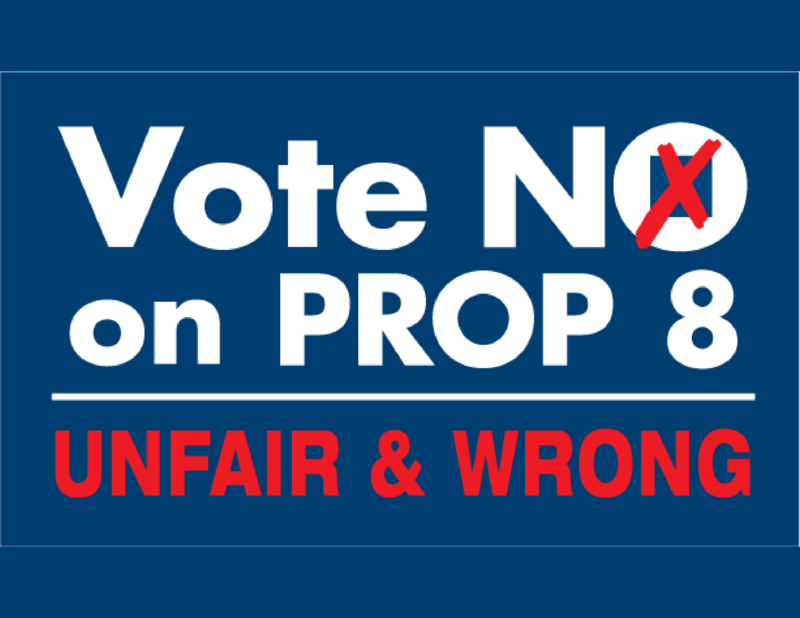 So, for the benefit of others who want a sign but can't find one, here is a copy of the 8.5 x 11 inch sign I made, as well as one ready to have a different line of text added along the top, and a third that just has the official No on 8 logo centered (without the added text above). [These are PNG files. I did them in Photoshop, so if needed I could save and upload them in other formats, too.] If anyone wants to improve on the graphic quality, please feel free --I've no doubt my graphics artist friends are shuddering in horror at these-- and I'll happily replace the files with better ones! 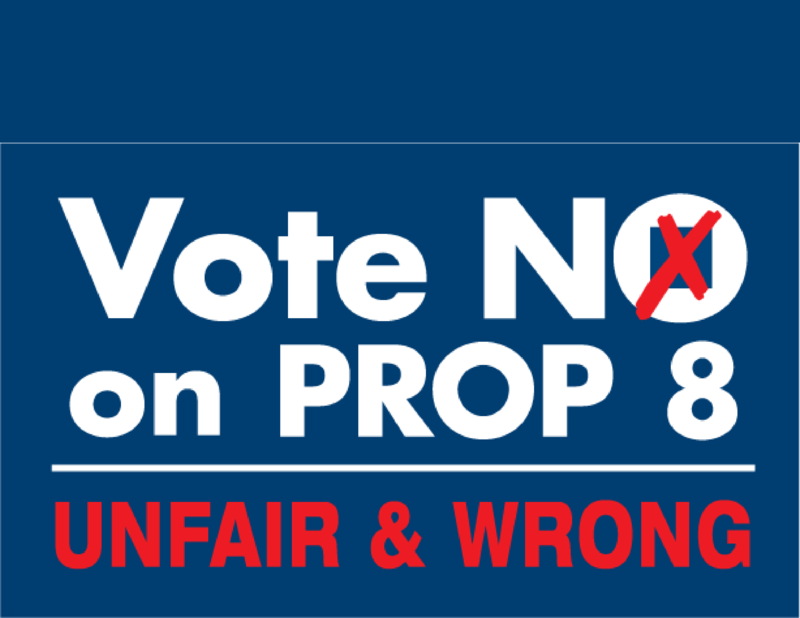 Please also donate to the No on 8 campaign -- the Yes on 8 campaign is flooding the airwaves with their dishonest ads and the No campaign needs help in order to combat them.